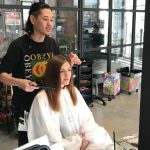 BEST Hair Salon in downtown Osaka located in Horie/Shinsaibashi. Top Japanese stylists are gathered here with speaking reception and staffs. Reasonable prices & high-end salon GUARANTEED!!! Access: 10 minutes on foot from Shinsaibashi Subway Station (Osaka Metro Nagahori Tsurumi-Ryokichi Line - Green Line), 5 minutes on foot from Exit 4 at Nishi Ohashi Subway Station (Osaka Metro Nagahori Tsurumi-Ryokichi Line-Green Line). Once you get out of exit 5, turn left and go straight passing G-STAR apparel shop on the left. 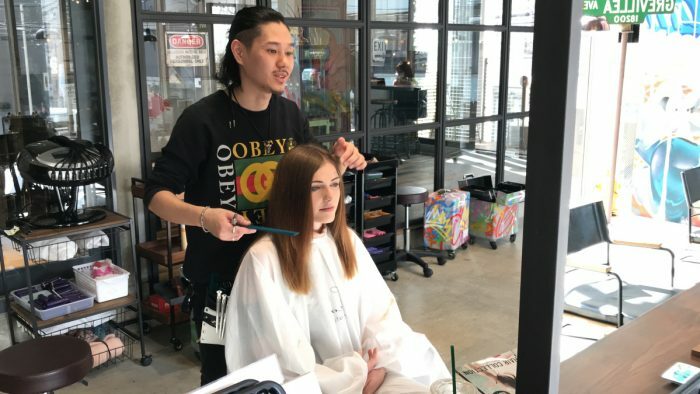 The salon is located on the right at the second floor of Trustman Horie Apartment. There is a coin parking space located right next to the salon.